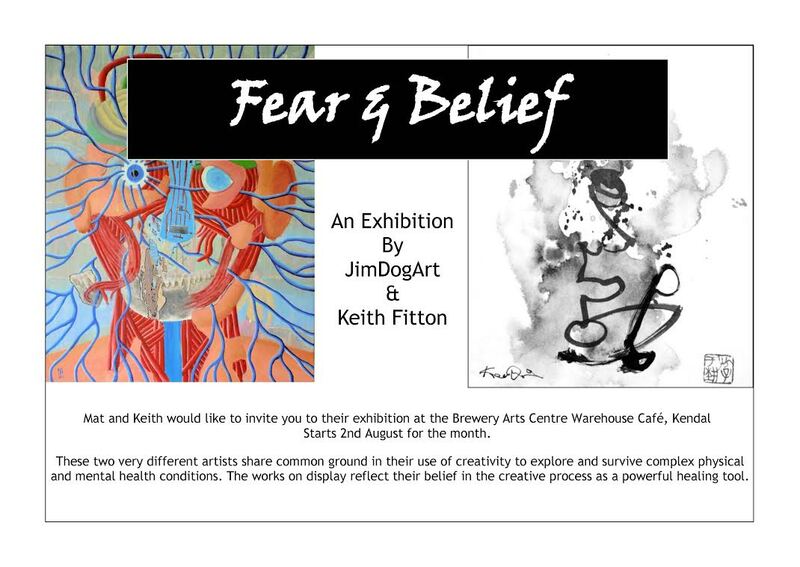 If anyone is around or about during the month from 2nd August onwards then please pop in to the Warehouse Cafe at the Brewery Arts Centre, Kendal to see our mini-exhibition. Mat is an artist I met when we both had work displayed in the north west regional Outside In exhibition at Tullie House Carlisle last year. He works with a wonderful local organisation called space2create and its a pleasure and privilege to share this showing with him. 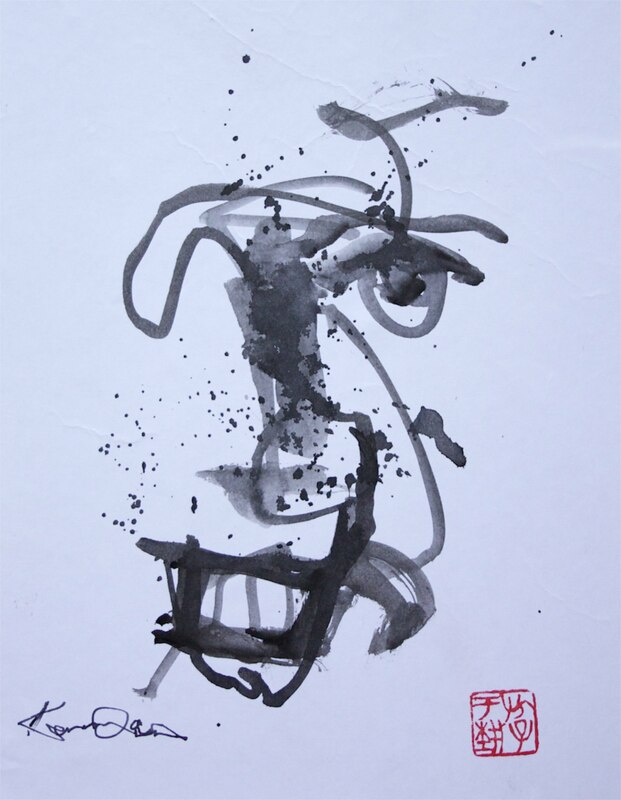 My modest little drawings are part of my “Zen Series” using spontaneity, humour and direct transmission as conduits for personal expression (or something like that!). In facing our fear, the real battle is within our own minds, I think. Last week I was working on some more paintings for my “Zen” series. 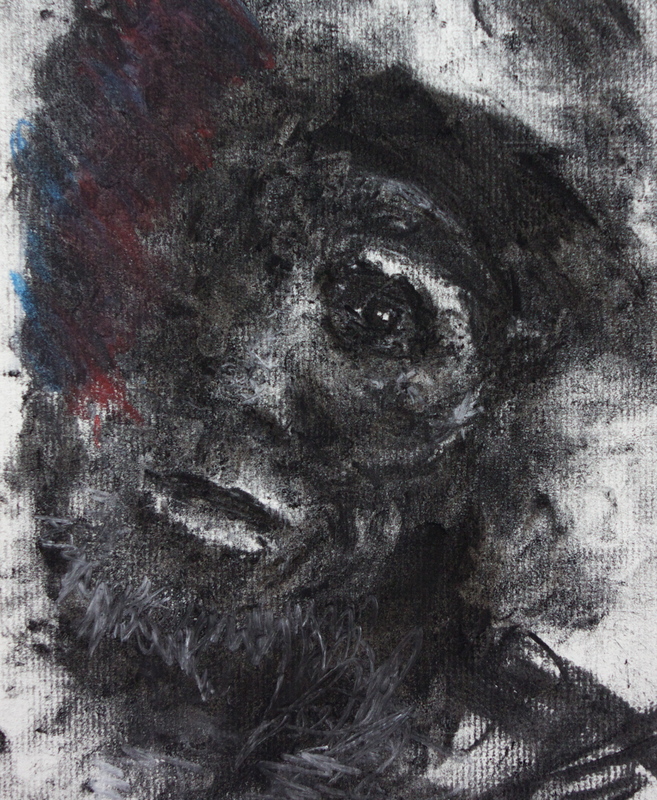 This one is called “The Comedian” perhaps inspired by my recollections of seventies TV shows where men told oft racist/sexist jokes in a manner derived more from gunslinger competitions than the gentler shows of previous eras. Maybe also the ghost of Groucho Marx infiltrated my creative process somewhere along the line?